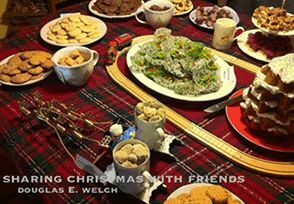 My Word with Douglas E. Welch » News: 2012 Gift Guide Complete, new blog and podcast series, and more! Send me your feedback! Home > Announcement, Baking, Cooking, DIY, Food, Make, New Media, Podcasting, Recipe, Technology	> News: 2012 Gift Guide Complete, new blog and podcast series, and more! Send me your feedback! As the shipping window begins to close on this holiday season, and after 115 different items, our 2012 Gift Guide comes to an end. I hope you have found my suggestions useful, practical and enjoyable and hope you have found gifts for your friends, family and yourself. Some of these items might be available locally or can be downloaded, so you still have some gifting time left. You can find a complete list of all the gift guide items at the end of this message. My ebooks, can be “gifted” directly from Amazon.com and/or immediately downloaded to a eReader you might also be giving. I hope you’ll consider these book as a gift to your garden/careerbuilder/social media friends and family. All the recipes for my Annual Christmas Cookie Party are now available in these FREE cookbooks — available on your iPad or computer! My video work has been growing over the last year and you can find all of my videos on my blogs and YouTube Channel. Subscribe to that channel, or the podcasts, to see each new video automatically. My gift to all of you this season is a collection of new blog and video series to feed your garden/career/new media needs. Some of these series have started already and you will see them in the appropriate blogs These include In the garden…, New Media Gear, Garden Vocabulary, Subscribed, New Food, Recipes in Rotation and more. You can also catch me each week as co-host of #KitchenParty, a live interview show where we get to talk to all our foodie friends. You can see past episodes on the Bakespace.com YouTube Channel. I am transitioning away from my computer consulting work and focusing more the blogs and podcasts, so you should be seeing more great content, on a more regular schedule, than ever before. I hope you will join me in the coming year. I would love to hear what you think about anything you see here.